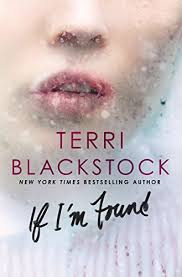 If I'm Found is the heart-pounding sequel to Terri Blackstock's If I Run. The tension and suspense continue to grow in this second book of the series. The characters are fascinating and complex. Casey Cox is on the run for her life but just can't keep from caring for and helping others in dire situations, no matter the personal risk. Dylan Roberts is pursuing her but is caught in between threatening members of the law enforcement community and what he believes to be true about Casey. Trying to reconcile danger and truth leads to a multitude of life and death situations. Woven throughout the story are important elements of faith and learning to trust God, no matter what. As an additional perk, I love what is being done with the covers of the books in this series. I'm not always impacted by book covers, but the creativity with this set is awesome. I highly recommend If I'm Found to fans of great suspense. This series is one of Terri's best! You will definitely want to start with the first book, If I Run. The only bad thing about the series -- the conclusion will not be out until next spring. What a wait! Casey Cox is still on the run, fleeing prosecution for a murder she didn’t commit. Dylan Roberts–her most relentless pursuer–is still on her trail, but his secret emails insist that he knows the truth and wants to help her. He’s let her escape before when he had her in his grasp, but trust doesn’t come easily. As Casey works to collect evidence about the real murderers, she stumbles on another unbearable injustice: an abused child and a suicidal man who’s also been falsely accused. Casey risks her own safety to right this wrong and protect the little girl from her tormenters. But doing so is risky and just may result in her capture–and if she’s captured, she has no doubt she’ll be murdered before she ever steps foot in a jail. In this riveting sequel to the USA Today bestseller If I Run, evil lurks, drawing Casey out of the shadows … but there is light shining in the darkness. Is Dylan a provision from the God who loves her, or another heartache yet to happen? 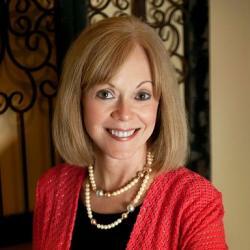 Terri Blackstock has sold over seven million books worldwide and is a New York Times bestselling author. She is the award-winning author of “Intervention,” “Vicious Cycle,” and “Downfall,” as well as such series as Cape Refuge, Newpointe 911, the SunCoast Chronicles, and the Restoration Series. 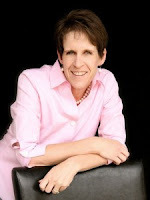 Find out more about Terri at http://www.terriblackstock.com. "There is no one so damaged that grace can't redeem him. That's one of the best things about God, I think. He never sees us as too far gone." "Do your best and trust God with the rest. That's the way to find peace." and he will reveal it at the right time." There are always inspirational gems to be mined from "gentle stories of hope" by the awesome Kim Vogel Sawyer. These come from her latest novel, Bringing Maggie Home. Kim has previously written great historical fiction, as well as Mennonite fiction with both historical and contemporary settings. 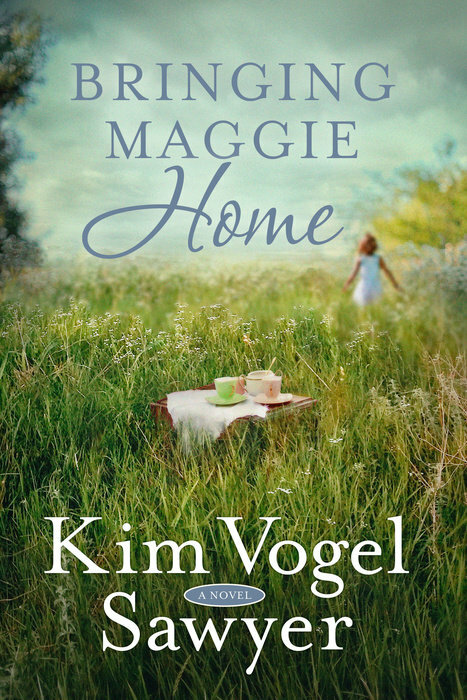 Bringing Maggie Home represents a somewhat new direction for her, with the main story set in current time with flashbacks to events covering the lives of three generations of women in the same family. As expected, Kim did a fantastic job with this new venture. So many issues challenge the characters in this story. From the beginning, you feel the tension and loss experienced by grandmother Hazel, her daughter Diane, and granddaughter Meghan. Sometimes I wanted to shake one or more of them and force them to sit down and talk things out. At other times, I found myself in tears as they worked through their issues, individually and together. In her characteristic excellent writing style, Kim filled in the needed blanks in the women's lives as her story developed. Twists and turns in the developments certainly helped keep the interest level high. The end of the story . . . well, you will just have to read it for yourself to see how skillfully Kim concludes this engaging journey through time. Thanks to Kim and her publisher for providing a copy of the book. I was delighted to share my own thoughts in this review. Hazel DeFord is a woman haunted by her past. While berry picking in a blackberry thicket in 1943, ten-year old Hazel momentarily turns her back on her three-year old sister Maggie and the young girl disappears. Almost seventy years later, the mystery remains unsolved and the secret guilt Hazel carries has alienated her from her daughter Diane, who can’t understand her mother’s overprotectiveness and near paranoia. While Diane resents her mother’s inexplicable eccentricities, her daughter Meghan—a cold case agent—cherishes her grandmother’s lavish attention and affection. When a traffic accident forces Meghan to take a six-week leave-of-absence to recover, all three generations of DeFord women find themselves unexpectedly under the same roof. Meghan knows she will have to act as a mediator between the two headstrong and contentious women. But when they uncover Hazel’s painful secret, will Meghan also be able to use her investigative prowess to solve the family mystery and help both women recover all that’s been lost? KIM VOGEL SAWYER is a highly acclaimed, best-selling author with more than one million books in print, in seven different languages. Her titles have earned numerous accolades including the ACFW Carol Award, the Inspirational Readers' Choice Award, and the Gayle Wilson Award of Excellence. 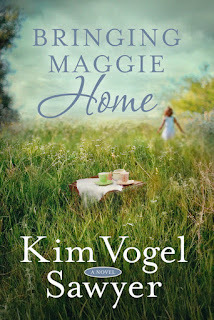 Kim lives in central Kansas with her retired military husband, Don, where she continues to write gentle stories of hope. She enjoys spending time with her three daughters and grandchildren. 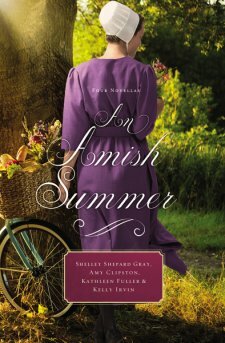 An Amish Summer is an enjoyable collection of sweet Amish stories, great for quick reading in the summer -- or any time of year. The good thing about novellas is that they are quick to read. The bad thing about novellas . . . is that they are quick to read; the stories are sometimes over too soon, before you want them to end. Seriously, I find the quick reads to be good for a few reasons. First, they can be a nice break from the longer novels and series that I enjoy so much. Second, they sometimes add more to stories I've already read by the author. Third, they give me a chance to read a sample by an author whose books I have never tried. This collection was a mixture of those things for me. I've read and enjoyed Shelley Shepard Gray's Pinecraft series and enjoyed her story related to that. Amy Clipston and Kathleen Fuller are also authors whose novels I have enjoyed, and as expected I found these new stories by them delightful to read. This was the first story I had read by Kelly Irvin. I had a little trouble following the flow of her story; I don't know whether it was her style or whether having not read her other books contributed to that. I would recommend An Amish Summer to anyone who is a fan of good Amish reads. Thanks to Booklook Bloggers for providing a copy of the book. I was happy to provide my personal thoughts in this review. A new novella collection of sweet, summer romances from some of our favorite Amish authors! When sisters Sharon and Sherilyn Kramer attend a wedding in Shipshewana, one of them returns with a new penpal while the other returns to her job at the bakery. After sending weekly letters back and forth, Sherry and Graham Holland arrange a reunion in Pinecraft. Upon Graham’s arrival, however, he realizes he’s been writing to the wrong sister. He decides to use the reunion as a way to get to know both sisters, but can he sort through the confusion in time to turn the worst vacation ever into something truly wonderful? Ariana is counting down the days until her wedding to Jesse. They have been friends longer than Arianna can remember, and that friendship turned into love over the past couple of years. But when Arianna’s brother Tobias, who happens to be Jesse’s best friend, gets them both into trouble, Arianna’s father puts an end to her engagement to Jesse. Some summer storms pass quickly, but Arianna is afraid the damage from this one may be too much to repair. Esther has always lived in the shadow of her beautiful younger sister Sarah. Even the boy she has known—and loved—her entire life, Judah, only has eyes for Sarah. But when a handsome young Englischer comes to live with the family for a summer, everything begins to change. Everybody in little Bee County, Texas, can see the obvious: Jacob King and Martha Byler are meant to be together. Everyone, that is, but Martha. 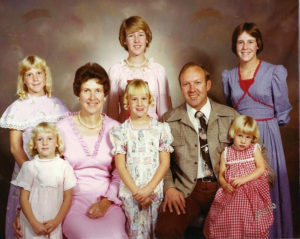 Ever since her mother died when Martha was a young girl, she has taken over the role of caregiver to her large family. And reckless Jacob, who has had a little too much fun on his rumspringa, only seems to add to the list of people to manage. But one summer changes everything, and these two may just find a way to meet in the middle and share one sweet kiss. 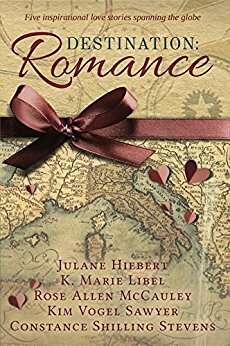 Destination: Romance is an enjoyable collection of five love stories, spanning both miles and years. Due to the limitations of space, romance happens pretty quickly in these novellas, but there is plenty of detail to pull you into each story. The only one of the five authors I was familiar with was Kim Vogel Sawyer. As always, her story was a delight to read. Even though she had a much shorter format to work in than her usual full-length novel and her setting was considerably different from her usual, she still wrote about characters in a way that you could share the feelings and passion that make up their story. The other authors did a good job as well, sharing engaging stories in a variety of settings and time periods. I was particularly happy to be introduced to the excellent writing of Kim's daughter in the final novella in the collection. Thanks to Kim for providing an advance copy of this book. I was happy to share my own thoughts in this review. From a cave in the hills of Missouri to a sandy beach in Grand Cayman, romance blooms for five heroines when they least expect it. Marine biologist Tamiera is determined to protect endangered sea turtles against man’s intrusion. When Joe arrives on the island of Grand Cayman with plans to build a resort near the turtles’ nesting grounds, will she be able to convince him to put the needs of God’s creatures above making money? An abandoned Cherokee burial ground keeps secrets and draws a picture of deep, enduring love for Nora, but land surveyor Donovan threatens the place that holds sweet memories for Nora’s grandfather. Will Donovan follow his boss’s orders or follow his heart? On a K-Love cruise to Jamaica, Natalie re-connects with Ken, a boy she met six years earlier on a high school summer mission trip. Attraction stirs, but opposing goals threaten their romance. Will they listen to God’s leading for their best place of service? A cave in the Missouri hillside was to be a shelter from pillaging Union soldiers for Charlotte and her unborn babe. But will she be safe when a wounded enemy seeks the same place of refuge? When a Kansas girl falls in love with the ocean, she thinks nothing could be more exhilarating than life on a beach...except maybe falling for a traveling photographer who introduces her to more adventure than she’d ever imagined. But is their connection one that can last, or will their time together simply remain a fond memory as they go their separate ways? Amish Brides is a sweet collection of Amish love story novellas. As is expected in the shorter format, things happen fast and the outcomes are pretty predictable. But the stories that lead to those outcomes are delightful to read. In The Reluctant Groom, Jennifer Beckstrand takes us on a quick visit to Huckleberry Hill and the matchmaking duo of Anna and Felty. 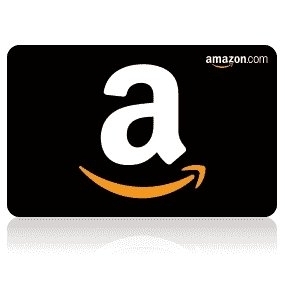 If you are familiar with that series, you know that fun and wisdom will show up as the Helmuths do their part (and more) to help find just the right match for one of their grandchildren. Molly Jebber's Joshua's Bride carries a little more serious tone than the other stories. The characters have some difficult family issues to work through, requiring each of them to evaluate their own feelings and priorities. In a A Summer Wedding in Paradise, Amy Lillard tells the lively story of a couple who aren't quite sure what they are looking for . . . and some eager little girls who have their own ideas of how to give love a push in the right direction. If you are a fan of Amish fiction and enjoy light, entertaining stories of love, Amish Brides would be a great choice. Thanks to Celebrate Lit for providing a copy of the book. I was happy to share my own thoughts in this review. Spirited Suvie Newswenger has three marriage proposals—but not from the man she truly loves. No matter how lonely widower Aaron Beachy is, he seems determined to stay that way forever. Now, with help from his matchmaking great-grandparents, Suvie will do whatever it takes to rekindle Aaron’s hope—and spark happiness for a lifetime. Madeline Lehman fears her fiancé’s family will never accept her because of her rebellious sister. She’s postponed her wedding to Joshua Stutzman until they see the truth. But when Maddie adopts her sister’s abandoned baby, can she and Joshua find a way to unite their families through forgiveness as well as love? Reba Schmucker longs to be a bride. And she knows her mischievous nieces just wanted to help when they “chose” Abel Weaver for her. But he’s the last man in the world she’d ever marry. There’s no way her independence and his stubbornness could ever get along—unless a sudden crisis somehow leads to understanding . . . and love. 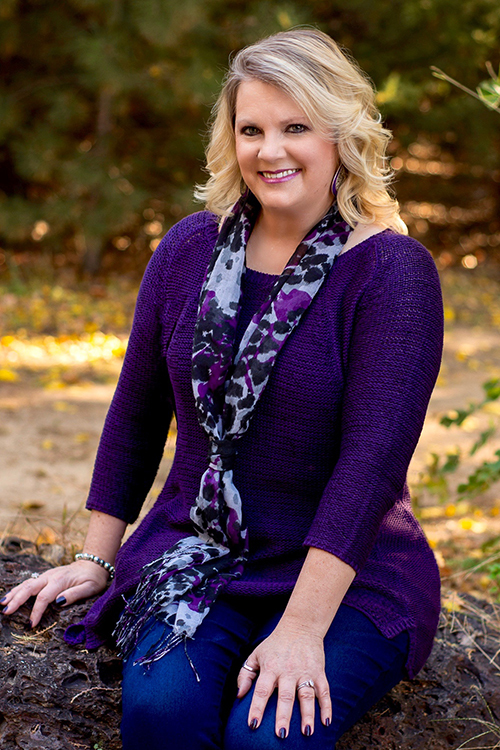 Jennifer Beckstrand is the RITA nominated and award-winning author of the Matchmakers of Huckleberry Hill series. She loves writing about the plain Amish life and the antics of Anna and Felty Helmuth. She and her husband have been married for thirty-one years, and she has four daughters, two sons, and four adorable grandchildren--whom she spoils rotten. Readers can visit her website at www.jenniferbeckstrand.com. Molly Jebber enjoys writing stories about Amish history and their culture. She’s a Women’s Christian Connection motivational speaker and enjoys meeting new people. She loves God, her family and friends, sunshine, swimming and traveling to the Amish communities. Creating historical Amish characters and throwing them into difficult situations and joyous times has been challenging and fun for her. Readers can visit her website at www.mollyjebber.com. Do you remember picking out your bride’s dress? The cake? Food? Location? The invitations? Weddings are fun, no matter how simple or extravagant. The marked event fills your heart with joy sharing in the special day with the bride and groom. I remember the day I married Ed, my best friend and soulmate. We planned the details together, and we still talk about what a heartwarming memory it is for us. I’m sure if you and I met for a girl’s chat, we’d enjoy hearing each other’s account of when we exchanged vows with our sweethearts. Amish brides may not have the flowers, rings, and fancy food and cake, but they have their traditions and share in the excitement like we do. I enjoyed writing “Joshua’s Bride”. I hope you enjoy it too. Molly Jebber’s books have been featured in Publisher’s Weekly, USA Today’s HEA, and Romantic Times has given them a near excellent rating. She’s on RWA’s Honor Roll. She’s a speaker for Women’s Christian Connection, and she offers presentations on writing, publishing, Amish lifestyle and traditions. She has received widespread media coverage, including live interviews, across the United States for her books and speaking engagements. She’s just signed a new contract for four more Amish books! She loves interacting with her readers. She loves God, her husband, family and friends. She has a hard time saying no to cupcakes, swimming, nine holes of golf, and walks on the beach. Coconut, oatmeal, and onions, on the other hand, are not hard to say no to! You know how sometimes an idea is good the first time or two you see it, but then it gets old after it is repeated over and over? Well . . . that is NOT what happens with Jennifer Beckstrand's Matchmakers of Huckleberry Hill series. 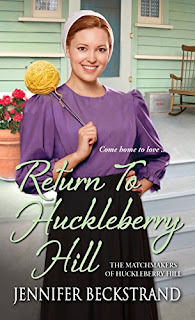 Return to Huckleberry Hill is (I think) the 7th book in this series, and the stories just keep on entertaining! Once again Anna Helmuth is concerned about doing some matchmaking for one of her grandchildren. Her original plans for a granddaughter get sidelined when grandson Reuben shows up from Ohio. But never fear, Anna shifts directions quickly and the fun begins! Anna's knitting and culinary skills are of course important parts of the story. And who would have thought that Felty's license plate game could helpful in affairs of the heart! Jennifer once again fills her story with a fun and quirky cast of characters. Her creativity leads to plenty of fun and thrilling adventures for everyone involved. 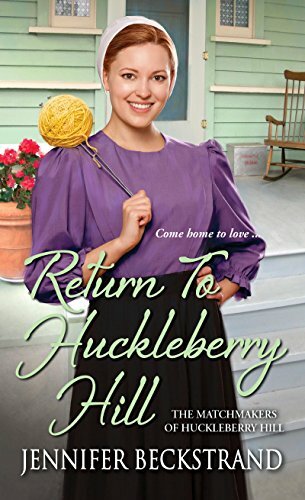 I certainly hope that she continues to give us more opportunities to visit Anna and Felty on Huckleberry Hill. Fans of fun Amish fiction should enjoy this delightful read. Thanks to Celebrate Lit for providing a copy of this book. I was pleased to voluntarily share my own thoughts for this review. Click here to buy a copy of the book. 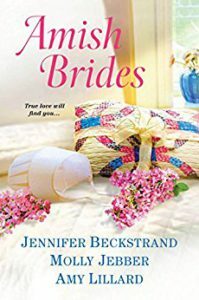 Jennifer Beckstrand is the award winning Amish romance author of The Matchmakers of Huckleberry Hillseries and The Honeybee Sisters series for Kensington Books. Jennifer has always been drawn to the strong faith and the enduring family ties of the Plain people and loves writing about the antics of Anna and Felty Helmuth and the Honeybee sisters’ aendi Bitsy. Jennifer has a degree in mathematics and a passion for Jane Austen and Shakespeare. She and her husband have been married for thirty-two years, and she has four daughters, two sons, and soon-to-be six adorable grandchildren, whom she spoils rotten. 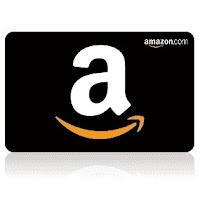 Check out reviews by other readers by visiting the Tour Page.